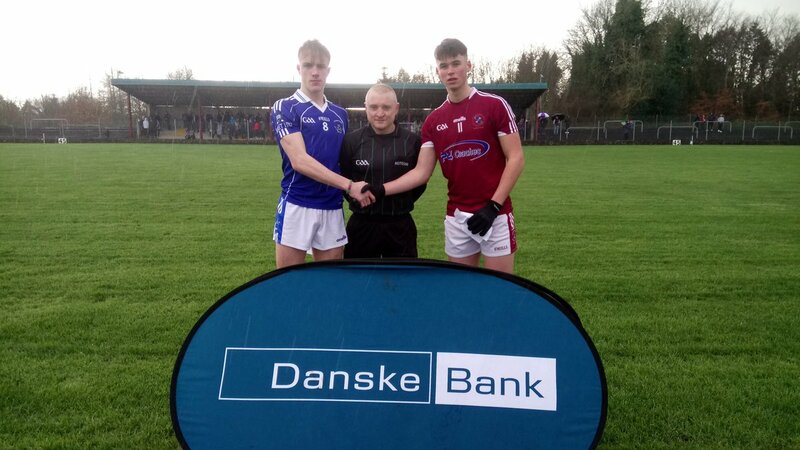 WHEN Eamon Brown punched a high ball from Ryan Cunningham to the Omagh net at the start of injury-time, it gave St Colman’s Newry a life-line they hardly deserved in this Danske Bank MacRory Cup quarter-final in Scotstown. Outplayed for almost the entire game by a competent all round Omagh performance in which nine different players got on to the score-card, the Newry side struggled to build any decent attacks, yet here they were two points in arrears with three minutes of injury-time indicated. But Omagh held their composure – and possession – to work the ball up the field and Daniel Fullerton picked off a fine score from 40 metres. From the kick-out Omagh won possession and a free that Liam Gray pointed to confirm his side’s passage to the semi-finals. It was the least Omagh deserved after dominating a game that was played in tough conditions, the rain and the cold making life difficult for the players. The west Tyrone side went three points up (two from Aaron Montgomery and a Liam Gray free) before Patsy Finnegan opened St Colman’s account in the 13th minute. Fullerton and Aodhan McConnell swopped points with Andrew Gilmore and a Brown free, but Omagh finished strongly with points from Mark Hayes, Lorcán McBride and Cathal Colton to lead by 0-8 to 0-3 at the break. Gray pointed a free on the re-start, but Finnegan and Brown responded. Both midfielder Lorcan McBride and full-forward Mark Hayes were having good outings for Omagh and the pair combined in the 41st minute for Hayes to fist a point which was followed by a huge point from the other midfielder Eoin Montgomery. There was a couple of incisive runs from Newry forwards but goalie Oran Grimes got down well on two occasions and his defence rallied around him as the game seemed to be drawing to a close. Brown’s fisted goal roused player and spectator alike, but it was Omagh who were more alert and able to close the deal. Omagh CBS: O Grimes, C McBride, R Hollywood, T Donaghy (0-1), R Kennedy, A Fox, C Colton (0-1), L McBride (0-1), E Montgomery (0-1), A Montgomery(0-2), L Gray (0-3 frees), S McDonagh, D Fullerton (0-2), M Hayes (0-2), A McConnell (0-1).